FALLS CHURCH, Va., Nov. 4, 2015 -- The Northrop Grumman Foundation, presenting sponsor of the CyberPatriot National Youth Cyber Education Program, congratulates its partner, the Air Force Association (AFA), on another record-breaking year for CyberPatriot team registrations. The AFA announced last month that the 2015-2016 CyberPatriot National Youth Cyber Defense Competition has registered 3,379 teams representing all 50 states, the District of Columbia, Puerto Rico, Guam, the U.S. Virgin Islands, Canada, and Department of Defense Dependent schools in Germany, the United Kingdom, Japan and South Korea. This is a 55 percent increase in team registrations over CyberPatriot VII. "Since our commitment to serve as CyberPatriot's presenting sponsor in 2010, this initiative has taken-off, thanks to the incredible stewardship of our partner, the Air Force Association," said Sandra Evers-Manly, president of the Northrop Grumman Foundation. "CyberPatriot is truly one of the most relevant and impactful STEM programs of our age! We are thrilled to advance this global workforce initiative, which is engaging our youth to pursue a career in this field and become the much-needed cyber leaders of tomorrow. We couldn't be more proud of the program's success, its focus on diversity, and its impact on our economic and national security." 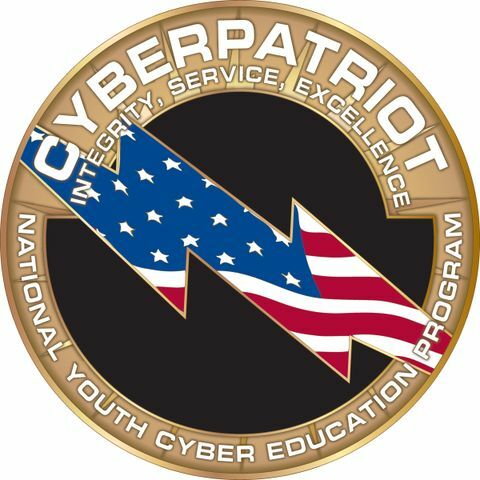 Created by the AFA, CyberPatriot is inspiring youth toward careers in cybersecurity and other science, technology, engineering and mathematics (STEM) disciplines. The program features the National Youth Cyber Defense Competition for middle and high school-aged students, cyber summer camps, and an elementary school education program. This year's annual competition will be held April 10-14 in Baltimore. 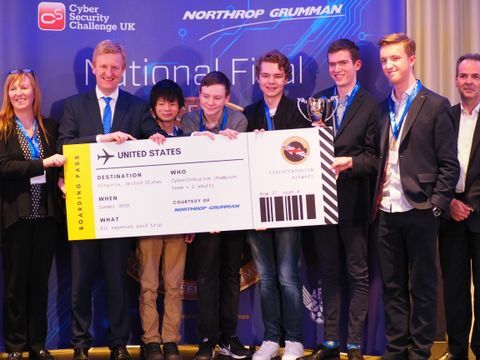 Expanding the program to the UK in 2015, Northrop Grumman partnered with Cyber Security Challenge U.K . to launch the CyberCenturion cyber defense competition. Now in its second year, CyberCenturion will hold its national finals competition at the National Museum of Computing, Bletchley Park, U.K. in April 2016. "Leaders of industry and government, worldwide, are in dire need of qualified cyber defenders," said Diane Miller, director, CyberPatriot programs, Northrop Grumman. "CyberPatriot is answering that call! The program is developing a workforce of cybersecurity professionals who are rooted in strong ethical practices, technically sharp, and trained in leadership, teamwork, and communication's skills. The impact CyberPatriot is making on students pursing this career field is evident, so we are pleased to be on the front lines building the workforce of tomorrow." In addition to the foundation's support to CyberPatriot, Northrop Grumman Corporation contributes employee volunteers, expertise and resources to, as well as scholarship funds for the winning teams. The company also provides internships to a number of CyberPatriot competitors, as do other industry and government organizations. 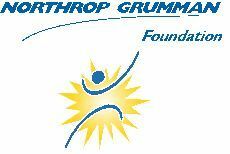 Northrop Grumman and the Northrop Grumman Foundation are committed to supporting cybersecurity education, training and technology. In addition to CyberPatriot, the foundation supports the University of Maryland Baltimore County (UMBC) Cyber Scholars program. The corporation supports the University of Maryland Advanced Cybersecurity Experience for Students program, leads the Cybersecurity Research Consortium , is partnered with bwTech@UMBC on the Cync incubator program, and operates its own Cyber Academy. For more about Northrop Grumman in cybersecurity, go to www.northropgrumman.com/cyber . For more about CyberPatriot, go to www.uscyberpatriot.org .